Turner pictured in Movie Makers, Jan. 1952, 3. "Glen H. Turner of Springville, Utah was a director of Springville gallery, a fine photographer, an award winning film maker, a talented water colorist and oil painter of realist landscapes who became a member of the Brigham Young University Art faculty in 1948." Utah Artists Project. 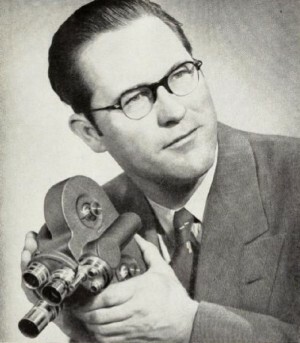 Turner was the second amateur filmmaker to win the Hiram Percy Maxim Award twice, and the first to do so with both 8mm. and 16mm. films (Movie Makers, Jan. 1952, 3). "Death: Glen H. Turner" (Obituary). Deseret News, December 3, 1993. PSA Journal, Nov. 1958, 47. The Glen H. Turner motion picture collection is held by the Church History Library at The Church of Jesus Christ of Latter-day Saints (Salt Lake City, Utah).